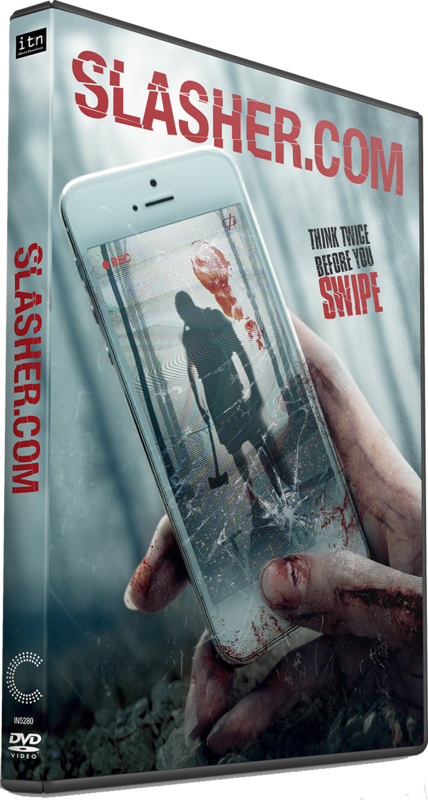 MuchoMuchoMucho Productions and Firefly Films, in association with ITN Distribution, has announced the March 7th DVD release of Slasher.com. The latest feature from horror director Chip Gubera (Song of the Dead, Academy of Doom, Mil Mascaras vs. the Aztec Mummy), Slasher.com puts a gruesome twist on the perils of modern dating. 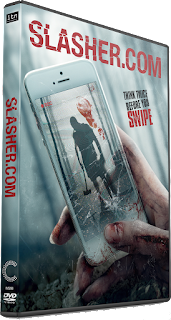 Co-written by Gubera and Chelsea Andes, Slasher.com combines the time-honored tradition of young people facing unfathomable horrors in the wilderness with the everyday horror of meeting people online. Ben Kaplan (ADDicted, Wingman Inc) and Morgan Carter star as the hapless would-be couple, anchoring a cast supported by R.A. Mihailoff (Leatherface: Texas Chainsaw Massacre III, Hatchet II), Jewel Shepard (Return of the Living Dead) and Grammy winner Delious Kennedy. Slasher.com took home awards for Best Feature Film at the Bloody Horror International Film Festival in Ottawa, Best Horror Feature at the Hollywood Boulevard International Film Festival, the Golden Award at the Spotlight Horror Film Awards and Best Screenplay at the Optical Theatre Film Festival in Rome. Jewel Shepard and R.A. Mihailoff were nominated for Best Actress and Best Supporting Actor respectively at the Optical Theatre Film Festival.